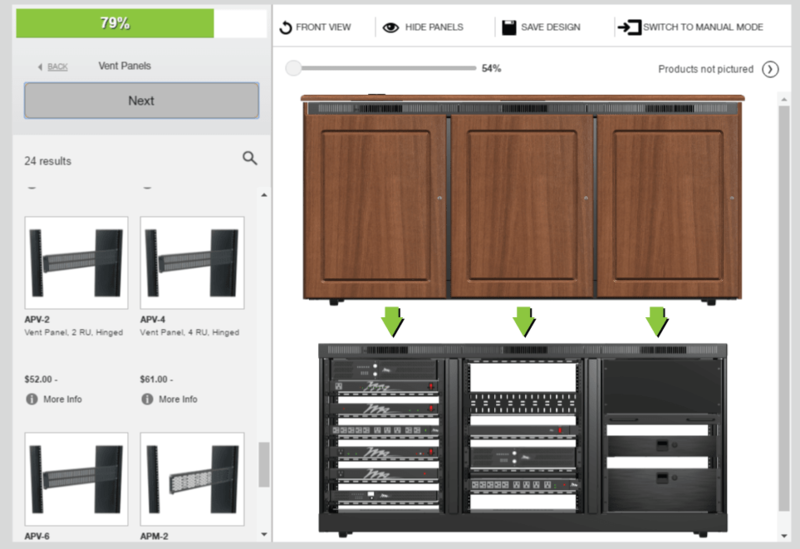 Racks and enclosures manufacturer, Middle Atlantic Products', selects a drag-and-drop, visual product configurator to improve the ordering and buying experience for its channel partners and customers. 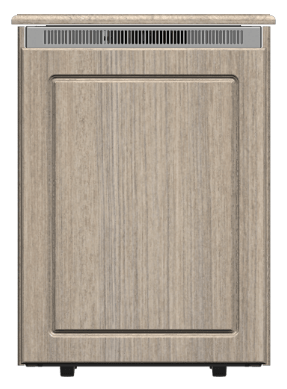 Download the Middle Atlantic Products' 2D Visual Product Configurator case study. Part of the Commercial AV division of Legrand, North America, Middle Atlantic Products manufactures racks and other infrastructure products used to protect and support integrated AV systems in residential, commercial, broadcast, and security applications. Middle Atlantic Products replaced its legacy product quoting and ordering applications to strengthen its commitment to improving the ‘user experience’ for its large base of channel partners and customers. Middle Atlantic Products sought to replace its two separate configuration tools for a scalable, cloud-based configure-price-quote (CPQ) and portal solution with Salesforce.com integration. The company found its legacy configuration applications were outdated, stand-alone, required downloads, and the user experience less productive. Seeking to improve inefficiencies while avoiding a resource draining path of custom development, the company conducted a multi-year, extensive evaluation for a flexible and robust SaaS CPQ solution that combines complex guided configurations with visualization for spatial product orientation and positioning - all in a single tool. The company turned to Axonom for its advanced Powertrak CPQ and Portal solution (hosted on NetPRM) for Salesforce.com. “Our evaluation team interviewed a number of configurator vendors but found that Axonom had a platform that would transform our digital catalog into a highly interactive selling tool,” said Tarkoff. Powertrak 2D Product Configurator enriches the sales quoting and ordering experience for businesses that sell make-to-order, assemble-to-order, and configure-to-order products. "There’s no better way to enrich the ordering experience than to provide customers and partners with a comprehensive solution to custom-design a rack or enclosure from anywhere in the world, on any device," said Mike Belongie, COO at Axonom. Quote My Customer: Users can easily add profit margin markup to quotes of saved projects. By simply entering the desired profit margin as a dollar value, percentage, or target growth for each component, the margin markup tool will automatically perform the calculations. Updated My Projects: Updated with an option for separating 'Draft' projects from 'Quoted' projects, the My Projects page allows for quick access and organization of each. Additional navigation features include auto sort by date and pagination. 17 Additional Rack Series: Nearly every rack series offered by the company is now available, with the update's addition of 17 Middle Atlantic racks. There are many options to create, personalize, and design an infrastructure system to fit almost every project need. 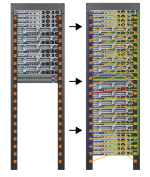 Middle Atlantic Products' customers and partners can now build their own rack by dragging-and-dropping BOM components (power, shelves, drawers) into the interactive 2D visual rendering, then freely reposition those components, monitor pricing, and change viewing angles for complete satisfaction prior to purchase – all in real-time. Powertrak helps Middle Atlantic Products manage its quote-to-cash cycle, streamline partner and customer interactions and transactions, and provide a superior ordering and configuration experience for its global buyers. From anywhere in the world with internet access, on any browser-enabled device, Middle Atlantic Products’ loyal customers and partners can custom-design, quote and order a rack or enclosure with AV equipment, power, cooling, and cable management components. Middle Atlantic Products has unveiled the second phase of its award-winning Web-based configuration tool. A key component of the middleatlantic.com customer portal, the next generation of the Configurator provides added functionality, an improved interface and overall enhanced website user experience - demonstrating Middle Atlantic's ongoing commitment to provide E-Tools that simplify users' jobs and allow them to build great systems. Engineered to facilitate the easy selection, configuration, quote, and purchase process for customer projects, the revolutionary tool now holds 43,000 components and boasts more than 10,000 registered users since its launch one year ago. In 2018, the 2D Rack Configurator was a Platinum Award winner for Best Design Services by Systems Contractor News readers and vetted by a panel of integrators and consultants. Video courtesy of Middle Atlantic Products - Be sure to change the settings to 1080p for full clarity.